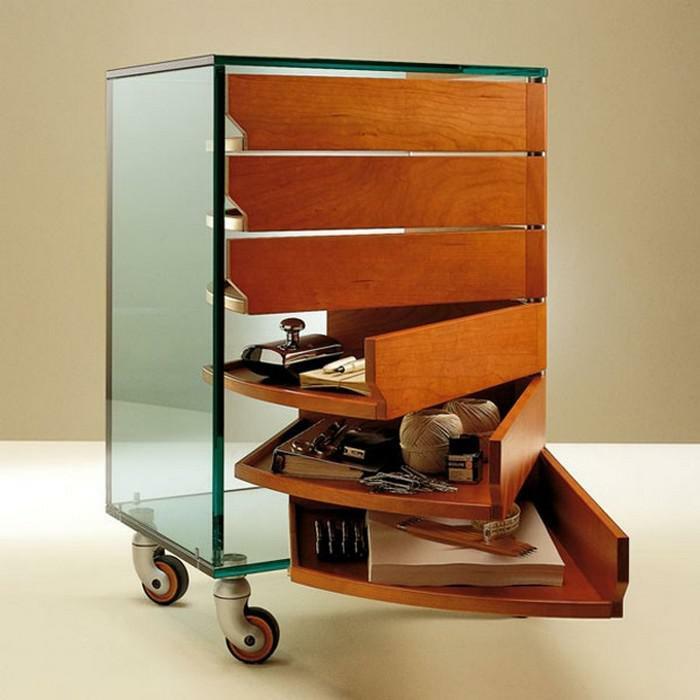 Camicino is a mobile storage cabinet that was designed in 1995 by Marco Gaudenzi for Italian furniture manufacturer Tonelli Design. Camicino has 6 revolving trays and it combines flawless functionality with awesome design. 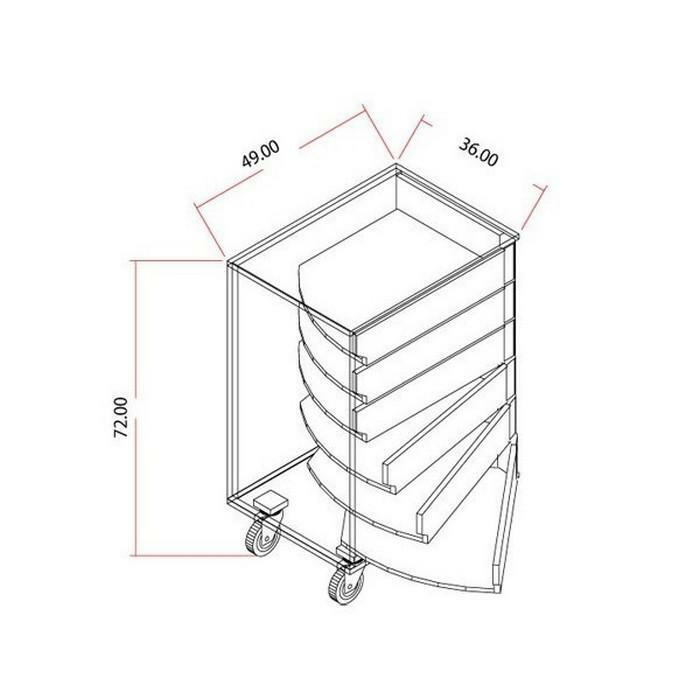 All trays can be accessible at the same time, since you can swivel them open in different angles simultaneously. 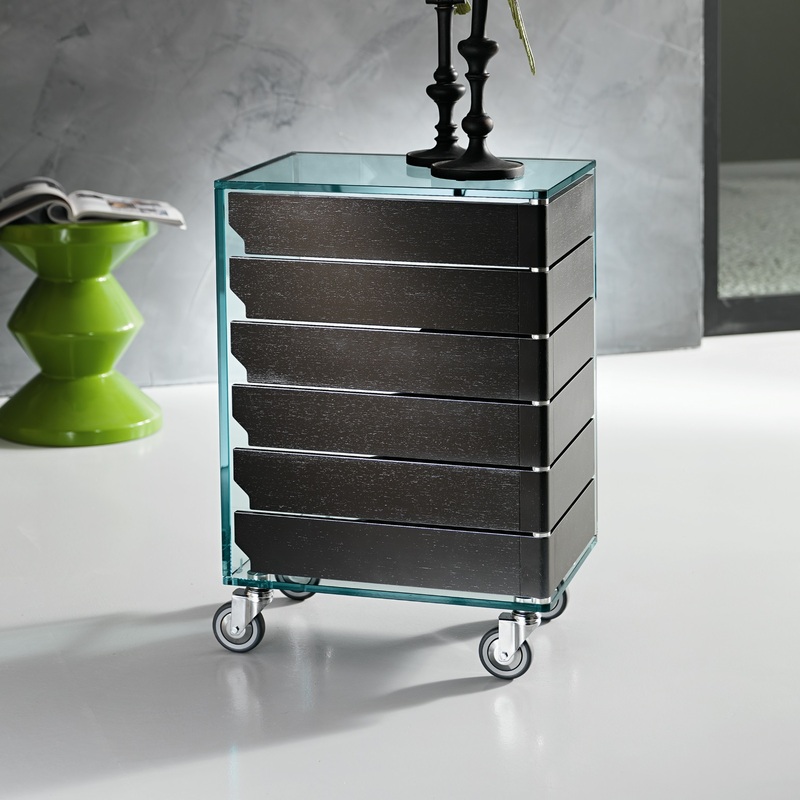 It is a uniquely elegant piece of furniture that will match any interior from utterly classic to ultra-modern. 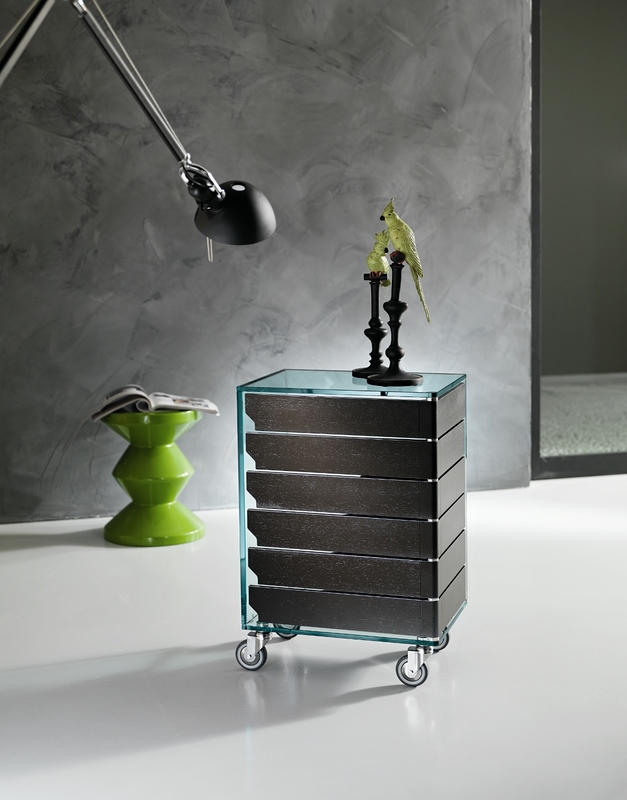 Standing on metal castors the Tonelli Camicino is very flexible. 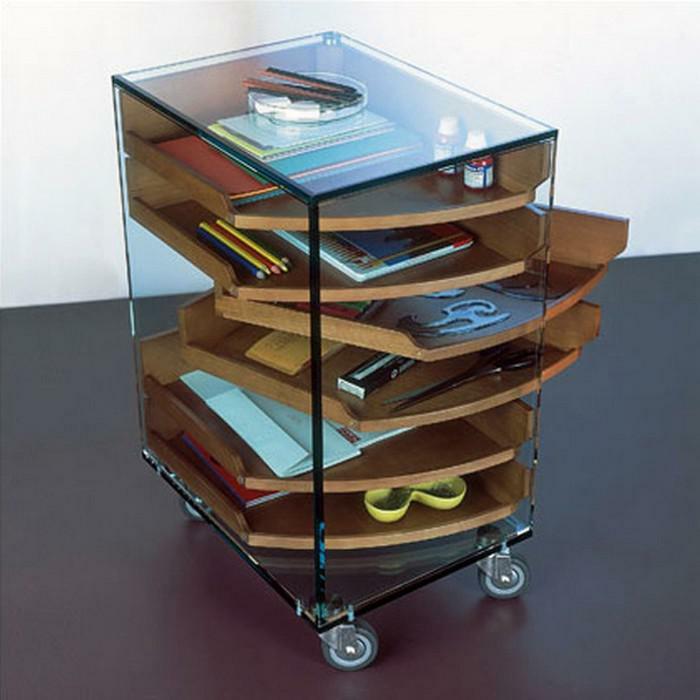 It can be used as a trolley, as a side table next to your sofa, as a main drawer unit at your desk, or even as a bedside table. Its quality is superb, all the trays are made from solid wood, the tempered glass used in the cabinet is 15/12mm thick and the metal castors are of the heavy duty variety and not cheap plastic ones. 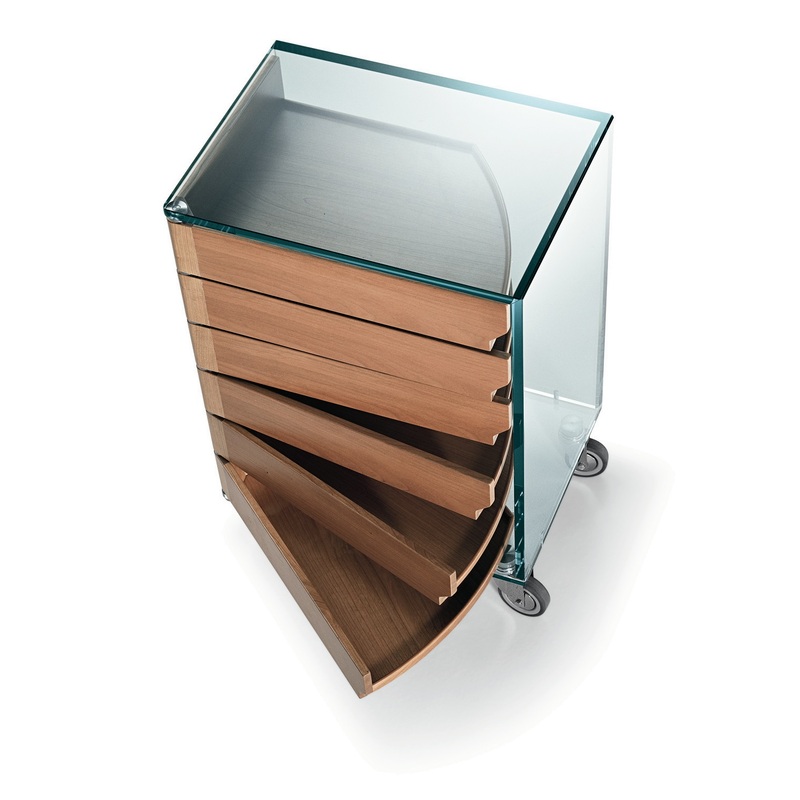 Note: Camicino is available in three color variations, as its trays can be finished in cherry, wenge or bleached oak wood. Size: 49 x 36 x h 72 cm. Admitted load: 15 kg and 3 kg on each shelf.